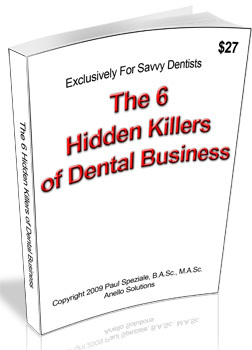 6 hidden killers of dental business | New Patient Systems Inc.
Because of the rigors of modern society and the lack of fundamental marketing/business education that is available to dentists, it’s getting tougher and tougher to just hang out a shingle and be in business…let alone keeping your head above the water financially. 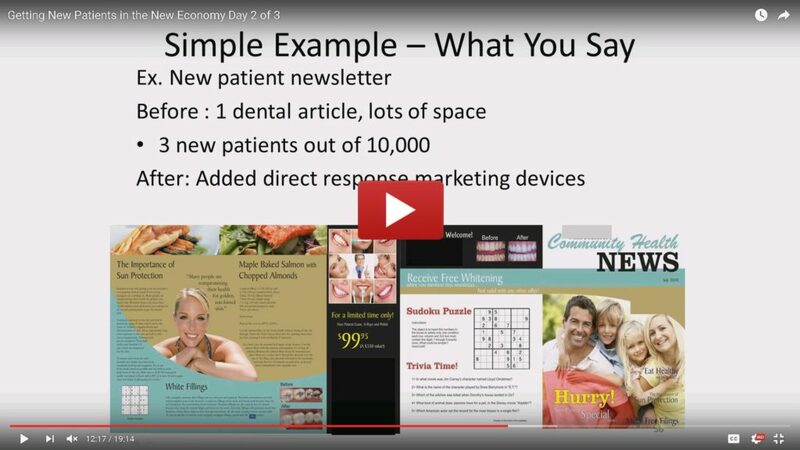 The vast majority of Dentists may be ill-equipped to handle these challenges and fall prey to a few main roadblocks accelerating the demise of their practice or preventing deserved successful growth. 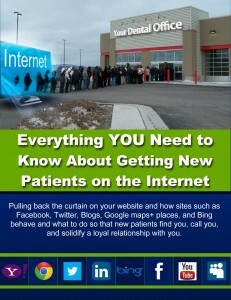 There are many reasons why a business may fail. I could fill up 500 pages with reason after reason. But that is not useful. What is useful is to figure out what are the biggest problems, most relative problems of today and solve them. 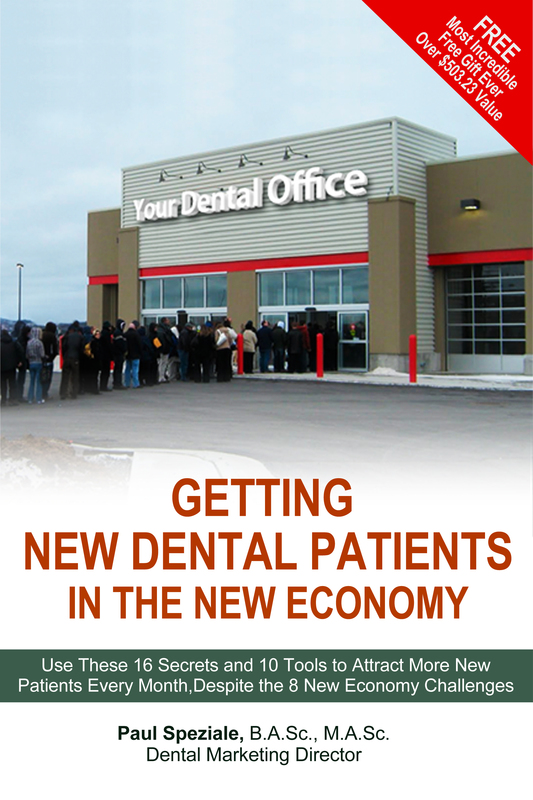 After consulting and working with several Dentists (and mostly in the office at the front desk) in Canada and in the United States, I came up with a list of the top 6 reasons why Dental business will suffer and may fail now and in the coming years. 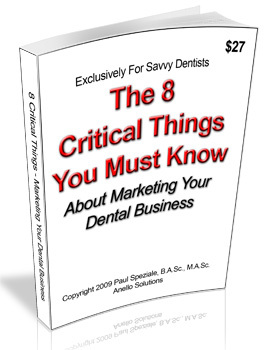 Some of these will be your top concerns, and others you may have never heard of them and yet they remain hidden, destroying your business in the background.